It’s summer and beaches have been PACKED! Chimney Beach is no different. What’s so special about Chimney Beach? We hope you figured it out just by the name… If not, we won’t judge your intelligence. 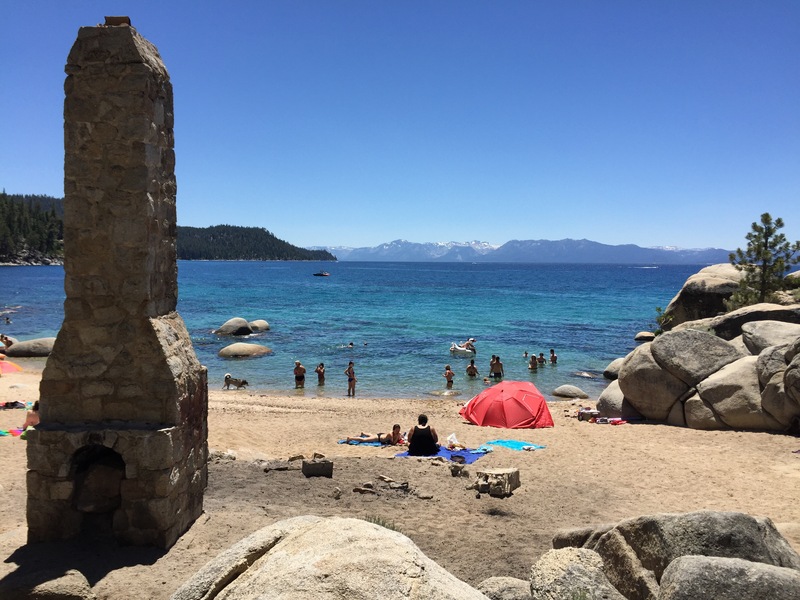 The beach is named after the stone chimney that still remains on the lakeshore, a remnant of the caretaker’s cabin that once stood there. 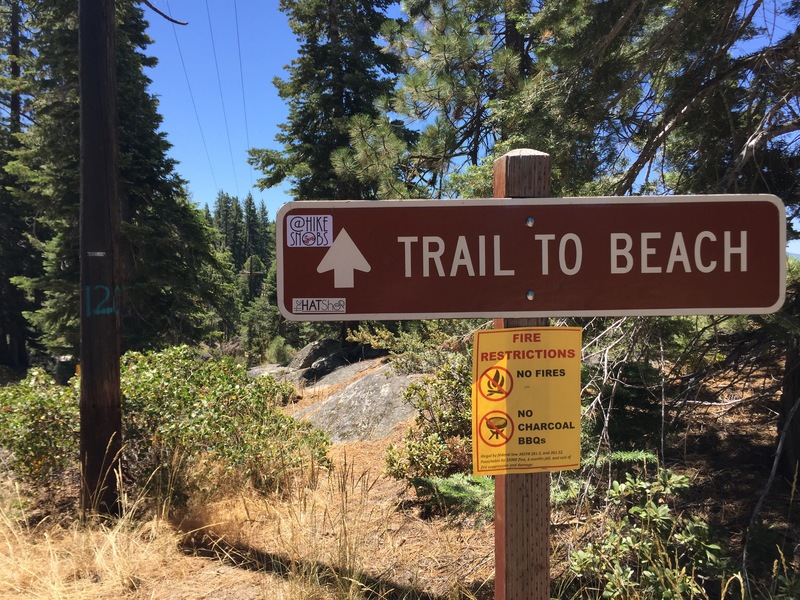 After parking on the side of the road because Sand Harbor parking lot was full, you can walk into the parking lot and find the trailhead to the beach. With a few switchbacks, the trail is pretty easy to follow. Easy is perfect when you’re carrying beach gear! Within 10 minutes, we spotted the beach… and the crowd. 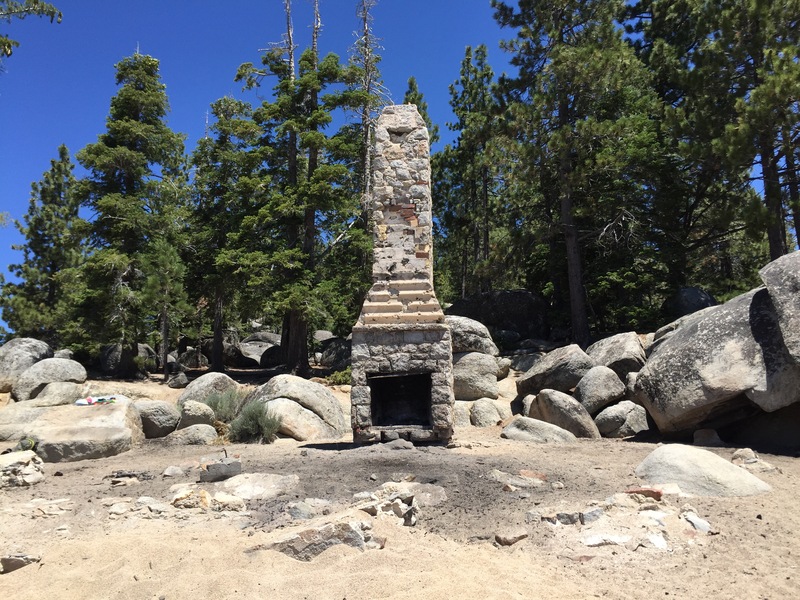 If you want to find the actual “chimney,” walk farther toward the boulders and you’ll be able to spot it no problem. Just don’t try to build a fire in it.